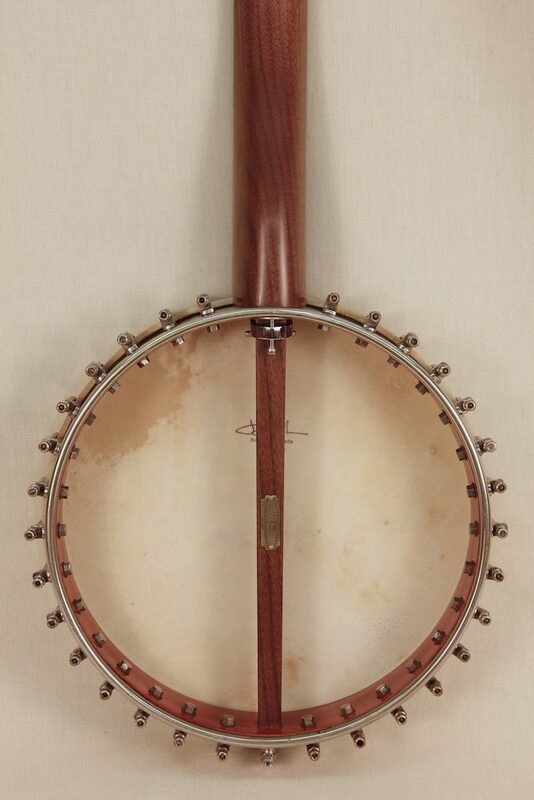 This Walnut necked banjo features a very nice spun rim most likely from the Buckbee factory or possibly a Fairbanks. 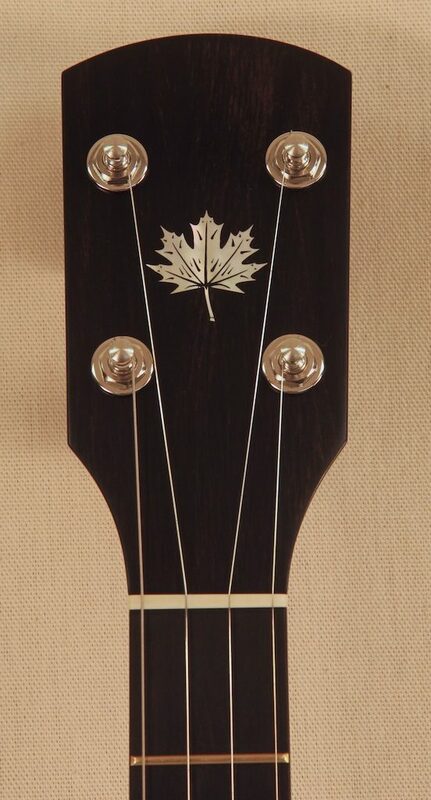 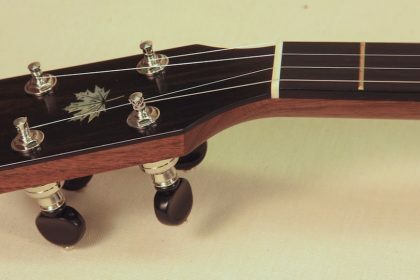 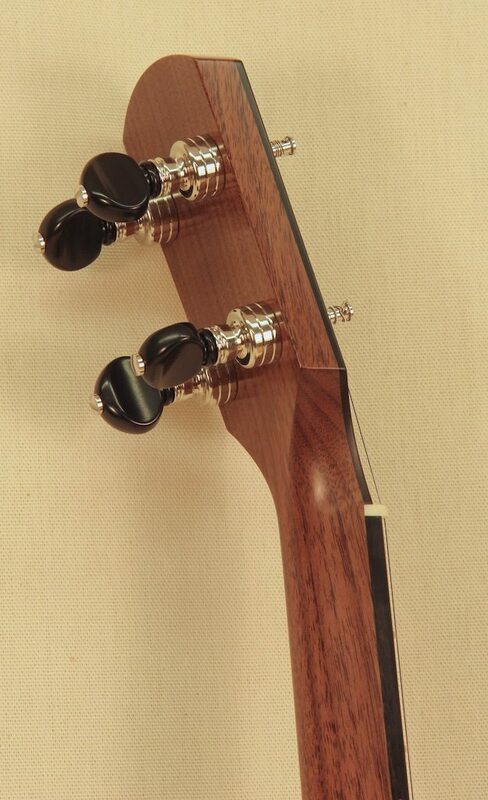 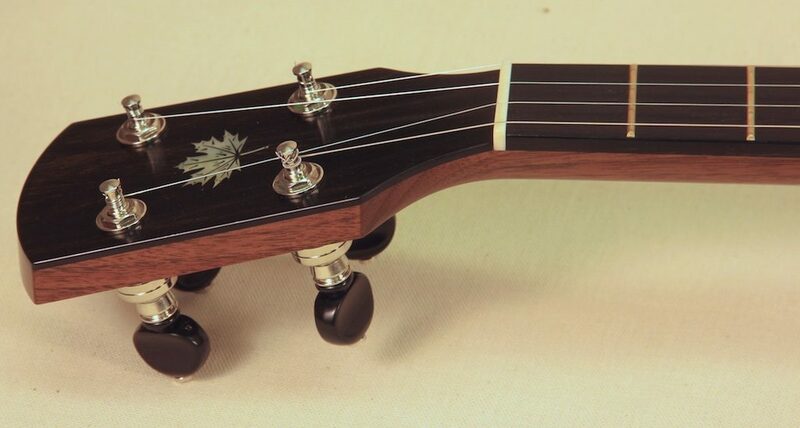 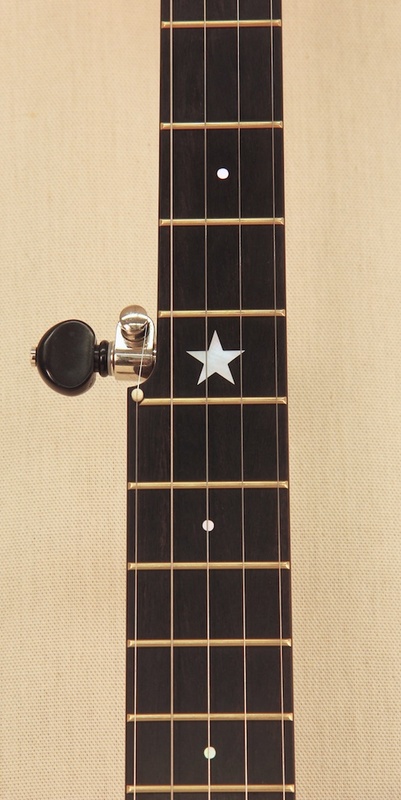 It is simply adorned with an engraved Maple leaf and unengraved star on the fingerboard. 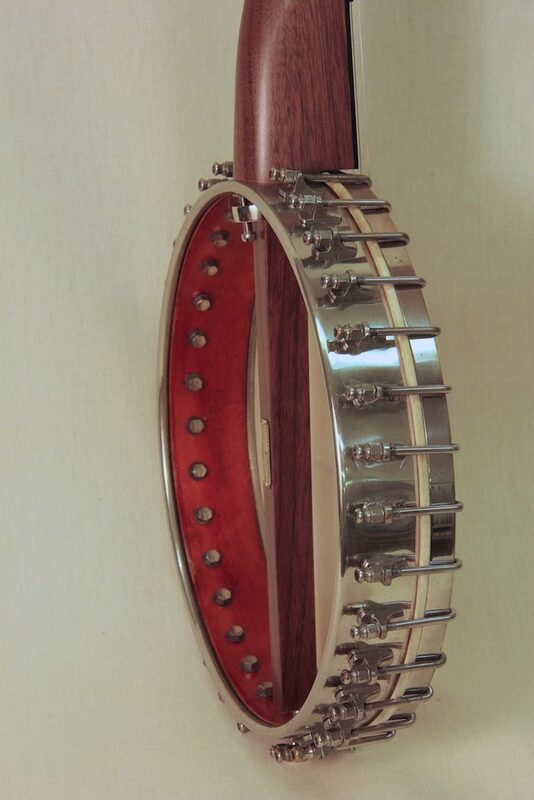 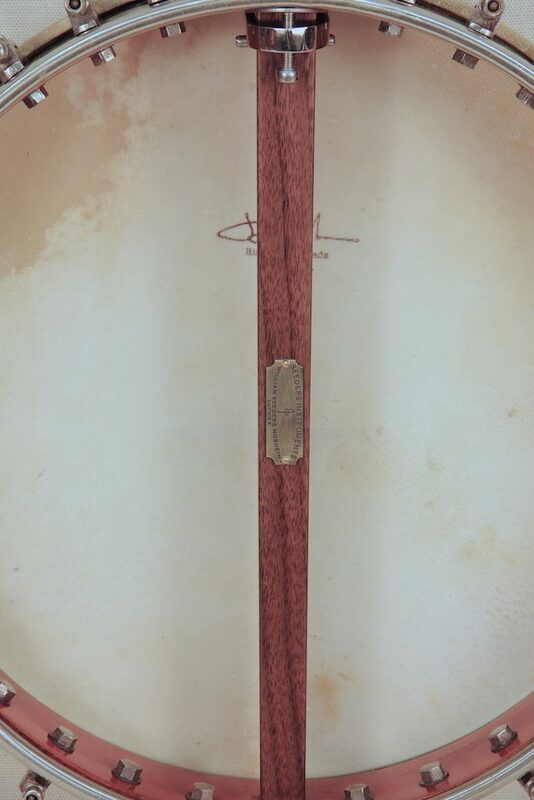 The rim features 30 brackets and is a nice heavy spun rim construction that lends to a great sounding banjo. 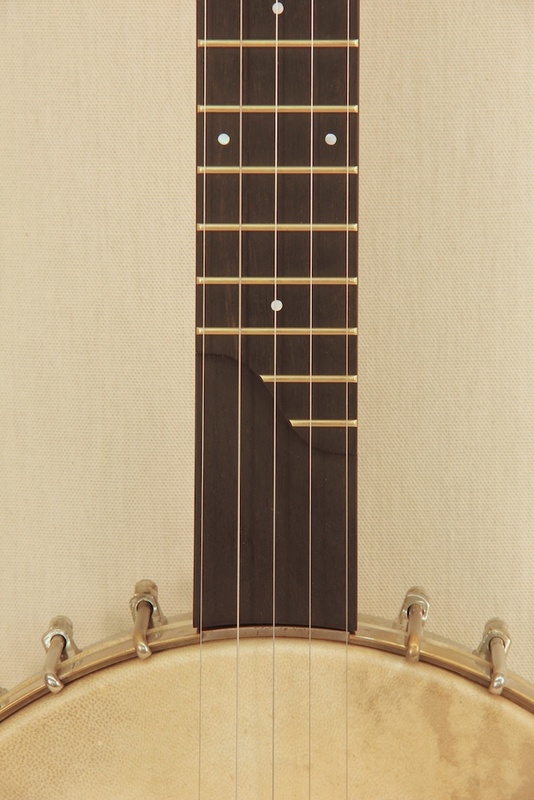 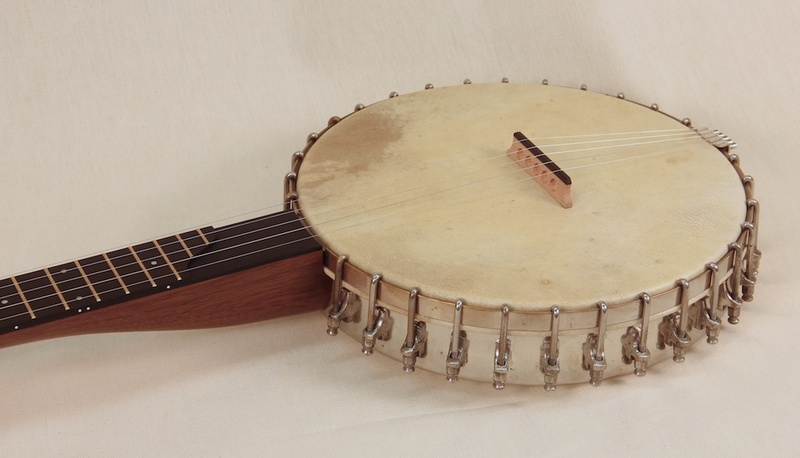 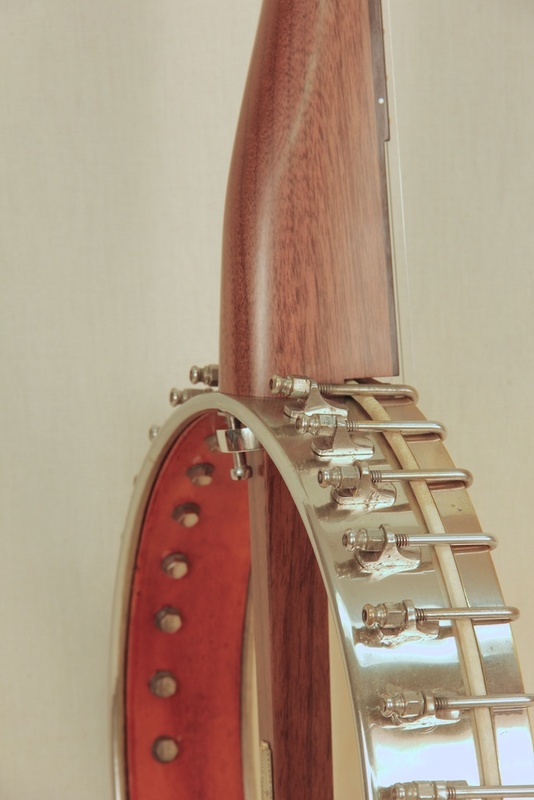 This banjo was designed as a short “A” scale banjo.